So, now I have another question for you: how tall do you like your sock cuffs? Obviously, I’m not there yet, but I want them to be the length you like. *And Kir, yes, I know that Miss Berardi is cringing somewhere. I’ll just give myself a “D” for this post. Oh – and I forgot. 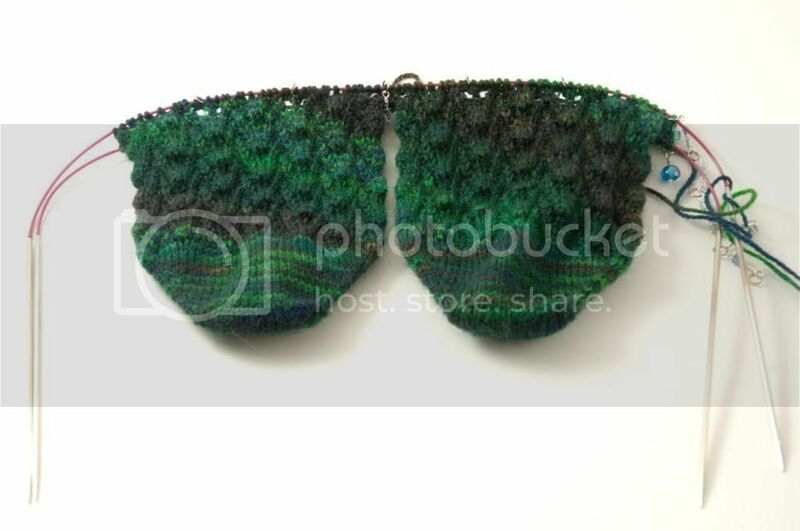 I mentioned it in the last post, but the pattern is “Small Capitals” from Sensational Knitted Socks. 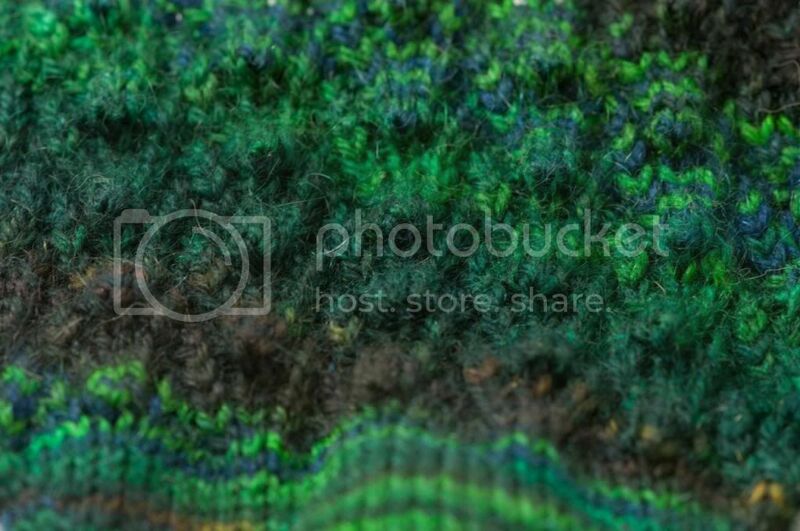 January 23rd, 2007 | Tags: Knitting, RAKs and SP Stuff, WIPs | Category: Misc. 19 comments to Sock Swap! What luscious colors! The stitch pattern looks similar to the bell lace pattern I just finished. That color is quite lovely. The pattern shows it off nicely! You’re making me feel like a slacker, but my yarn isn’t here yet, so not much I can do about it. Can’t wait to see the FO! Ohh I love that green. Love the color, very nice socks. Ooooh, very cool! I love how the pattern is working WITH the yarn and not against it. Oh that’s pretty, in fact I think it’s some of the prettiest yarn I’ve seen. It looks stunning knitted up. WOW! Seriously, I can’t believe that those socks will go on my feet! They look so so so so pretty. The yarn and the pattern are in sync. And two socks at a time, toe-up, impressive. I usually give my socks a 17 cm cuff, but I won’t mind them being shorter or longer. Make them as long as you like working on them. Greatings from Holland! The temperature is finally going down here. Hope it will persist so I can go ice skating. ooh, they look great! Can’t wait to see them finished!! Those are gorgeous!! Thanks for showing me how they look OTN! Nice socks! I’m still not at the point where I can do two at a time, but those are coming out great! I think I’m going to have to make a pair! Or if she doesn’t like them, send them to me! I am liking it a lot. Very gorgeous yarn. The GREEN! I love the color and the pattern. I’ll have to go look the pattern up. I see some green socks in my future…. Just love the “idea” of knitting two socks at once, but just cannot seem to negotiate the technique. Oh, these socks are going to be totally amazing – I *so* love the colourway as well as the pattern! Great work! Totally love this pattern but gotta tell ya….I am in love with those cute tiny little stitch markers! !